Since the firearm’s creation, firepower has aggregated at increasingly lower echelons in armies with each century, allowing smaller number of soldiers to dominate larger amounts of terrain and inflict greater amounts of damage on enemies. Today, a pair of soldiers handling a 20th-century machine gun can exceed rates of fire achievable only by an entire regiment of 19th-century riflemen. Advances in robotics, miniaturization of technology, and most importantly, exploration of human-machine combat teaming concepts will continue this trend and render the infantry squad of the 21st century the deadliest yet. Insurgents in Syria have already begun incorporating inexpensive quadcopters and other commercially available drones at the squad level, even using them as airborne improvised explosive devices (IEDs). Man-portable and inexpensive, a remote-controlled gyrocopter modified to hold anti-personnel or anti-armor warheads gives infantrymen a new way to clear a room, attack enemy infantry in cover, or destroy hostile tanks. While currently susceptible to electronic jamming, advances in robot object recognition should allow future drones to autonomously acquire targets, leaving electronic attacks designed to sever connectivity less effective. Rules of engagement, the intensity of conflict, and the nature of enemy forces will determine the extent that this autonomy can be used. While the turmoil and bloodshed in Afghanistan continues, with some indices escalating sharply in 2015-16, Pakistan’s gameplan to restore its proxies to power in Kabul appears to be unraveling. In a development that has shaken Islamabad, a United States (US) drone targeted and killed the Pakistan-installed head of the Afghan Taliban, Mullah Akhtar Mansour, near Ahmed Wal in Balochistan, squarely on Pakistani soil, on May 21, 2016. While the US has long targeted al Qaeda and Tehrik-e-Taliban Pakistan (TTP) linked terrorists in Pakistan, the top Taliban leadership operated under cover of impunity till now as a result of a misconceived US policy that farmed out the ‘management’ of the Taliban to the Pakistan Army and its Inter-Services Intelligence (ISI). The strike suggests that Washington is now losing patience with Pakistan’s protracted mischief in Afghanistan. Ah, yes, the “carrier-killer.” China is forever touting the array of guided missiles its weaponeers have devised to pummel U.S. Navy nuclear-powered aircraft carriers (CVNs). Most prominent among them are its DF-21D and DF-26 antiship ballistic missiles (ASBMs), which the People’s Liberation Army (PLA) has made a mainstay of China’s anti-access/area-denial (A2/AD) defenses. Beijing has made believers of important audiences, including the scribes who toil away at the Pentagon producing estimates of Chinese martial might. Indeed, the most recent annual report on Chinese military power states matter-of-factly that the PLA can now use DF-21Ds to “attack ships, including aircraft carriers,” more than nine hundred statute miles from China’s shorelines. Scary. But the U.S. Navy has carrier-killers of its own. Or, more accurately, it has shipkillers of its own: what can disable or sink a flattop can make short work of lesser warships. And antiship weaponry is multiplying in numbers, range, and lethality as the navy reawakens from its post-Cold War holiday from history. Whose carrier-killer trumps whose will hinge in large part on where a sea fight takes place. That carrier-killer imagery resonates with Western audiences comes as little surprise. It implies that Chinese rocketeers can send the pride of the U.S. Navy to the bottom from a distance, and sink U.S. efforts to succor Asian allies in the process. Worse, it implies that PLA commanders could pull off such a world-historical feat without deigning to send ships to sea or warplanes into the central blue. Close the firing key on the ASBM launcher, and presto!, it happens. Relations between India and Russia were up-graded from “strategic partnership” to “special and privileged strategic partnership” in 2010. Five years after this up-gradation and two years after the assumption of power by Prime Minister Modi, it would be appropriate to enquire whether the inherent potential of the bilateral partnership has been realized. 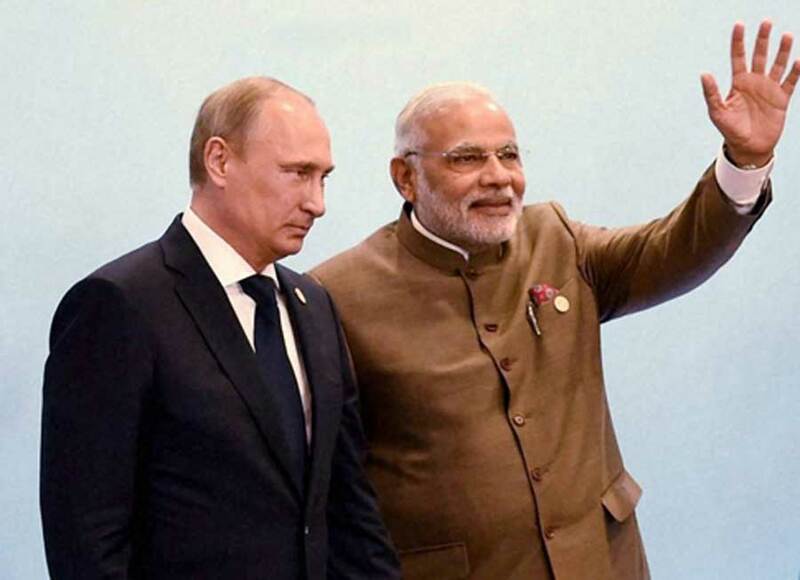 Strong relations with Russia are a key pillar of India’s foreign policy. Russia is a longstanding, time-tested, partner. Be it in the field of equipping our defence forces or industrialisation of the country or strategic support in the UN Security Council, Russia has always come to India’s help. Relations between India and Russia have been based on defence acquisition, hydrocarbons, nuclear energy, space cooperation, trade and commerce, science and technology, culture and people to people ties. Afghan Taliban’s intransigence on the peace process coupled with its attack on civilians in Kabul has forced the four powers initially driving the peace process to increase the pressure on the group. President Ghani’s announcement to initiate a 5-year war strategy against the Taliban, American drone strike on the head of the Taliban travelling through Baluchistan and Pakistan policy of stepping up operations on the terrorist groups have put the group on the defensive. The Americans have been categorical in their statement that the Taliban leader was an obstacle to peace. Strategists have speculated as to whether the leader was given up by the ISI for reasons ranging from wanting to help the Haqqani network consolidate their leadership to discount on the F16s. However, these arguments pre-suppose ISI as an omnipresent perfectly orchestrated force. US drones have remained in the hunt for high value targets throughout their presence in the region. The Special Forces were restricted due to the so-called rules of engagement, which were changed in January 2015 under Mr. Obama’s plan to scale back U.S. military involvement and to encourage reconciliation efforts with the Taliban. Even for argument’s sake, if the Afghan Taliban leader was located by a tip-off from the ISI, it is not necessarily true that it would have been an easy strategic compromise for the ISI to make without fallouts within the organization since there have been reports in the past that he was picked by the ISI. For all the resilience built in organizations, death of the leader does cause organizational dissonance and a blowback to the motivation of the others. Politically, it makes a counter to the insurgent argument that the insurgent merely needs to prevent state victory rather than ensure his own victory to claim success. The US drone strikes prove that states can still impose substantial costs on terrorists when provoked. 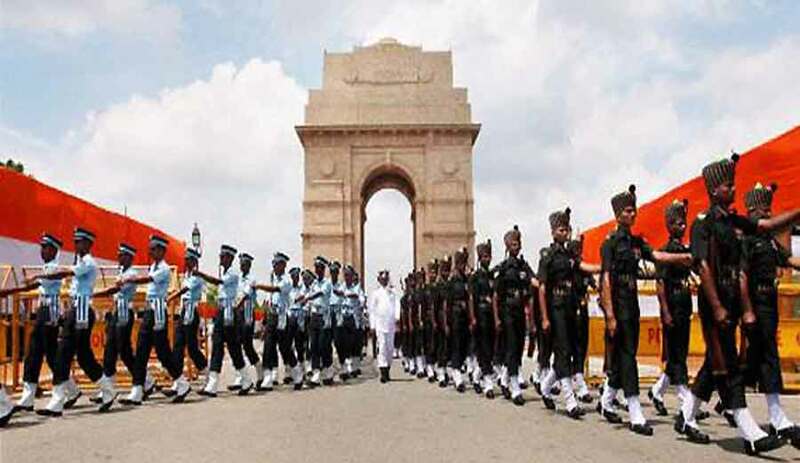 Defence Reforms – cart before the horse? Talking to the media and news channels Defence Minister Manohar Parrikar has said that he has now set the stage for far-reaching defence reforms from a chief of defence staff (CDS) and unified commands to slashing non-operational military flab—held up since the 1999 Kargil conflict. This is welcome news after the decade plus of stagnation in defence during AK Anthony’s rein as the defence minister. Defence Minister Parrikar has emphasized that military modernization was poised to take off in a major way, adding that “the impact will be seen next year” which could include the inking of the Rs 59,500 crore deal for 36 French Rafale fighters by June end. The Defence Minister’s response to what changes have been ushered by him in MoD can be summarized as: major change attitude (more openness, more trust, more confidence) and the mindset to deliver: delivery of OROP; faster handling of veteran grievances; exercise to improve teeth to tail ratio of armed forces; DPP 2016, under which acquisition proposals have already begun, and; deal for 36 Rafale aircraft will likely be cleared in June itself. On the question of CDS, Defence Minister Parrikar said that CDS, jointness and reforms in basic structures are all inter-linked, which are being worked upon seriously – a CDS without jointness has no meaning. He added that this required a proper action plan for implementation over seven-eight years, it can’t be done overnight, and if these issues were not resolved for 16 years, he thought he could take a few more months. All this is good news but needs close examination. In the financial year 2015-16, Rs.42,084 crore was spent on MGNREGA. Figuring out key parameters on which to measure a State’s performance provides a playbook of best practices for others to follow. The Mahatma Gandhi National Rural Employment Guarantee Act of 2005 (MGNREGA) aims at “enhancing the livelihood security of people in rural areas by guaranteeing 100 days of wage-employment in a financial year to a rural household whose adult members volunteer to do unskilled manual work.” In the financial year 2015-16, Rs.42,084 crore was spent on MGNREGA. As there has been no serious attempt to rank the implementation of MGNREGA across States so far, we assessed the implementation of the Act by the States between 2015 and 2016. Nomesh Bolia & Shobhit MathurWe selected three performance indicators to rank the States: average days of employment per household, percentage wages paid within the promised 15 days of enlisting to work, and the work completion rate. Each indicator measures the implementation of MGNREGA in the State on an important output. Collectively the three indicators capture the key aspects of MGNREGA implementation, namely, employment generation, wages paid in time, and assets created as promised. First, even though MGNREGA guarantees 100 days of employment, the national average has always been below 50 days. Comparing this value across States, we found that Tripura was able to provide 95 days of employment on average. Manipur and Goa were at the lower end, providing 16 and 18 days of employment, respectively. In my last column, I had discussed the geostrategic terms frontier, border and international boundary, and highlighted that the Line of Actual Control is a de facto border. The flagging of our northern frontier with Tibet led to the Sino-Indian War in 1962. What India inherited in 1947 as far as Tibet went was concerned was a frontier region shaped by the Himalayan chapter of the Great Game, played over two centuries by Britain, China, Russia and Tibet. The role of Tibet was contingent upon its credibility as a state and the prevailing strategic situation in China. So long as British India, China and Tibet treated Eastern Ladakh and present day Arunachal Pradesh as frontier regions, there were not too many problems barring skirmishes, small-scale offensive forays and surreptitious occupations that were more about tax collection and less for usurping territories. Claims by the Sikh empire (the Dogras), Britain, Ahoms, Tibetans and Chinese were part of the Great Game. It is difficult to apply Westphalian logic to these claims due to their primordial nature as India, China and Tibet are ancient civilisations and memory goes back centuries and is coloured by mythology. All this notwithstanding, the 1842 Treaty between the Sikh/Dogra Empire and Tibet and the Simla Convention of 1914 between Britain, Tibet and China were good starting points to negotiate a settlement of the Himalayan frontier region. But conventions and treaties are given short shrift by nation states in the frontier regions where physical, political and military control decides the eventual delimitation of the international boundary. As other powers engage South Asian nations, Delhi must deal with a changing Subcontinent. Their presence at the G-7 summit at Ise-Shima, Japan, last week was hardly noticed in India. But among the six leaders of the developing world present in the outreach session were Sheikh Hasina, prime minister of Bangladesh, and Maithripala Sirisena, president of Sri Lanka. The Japanese invitation to Bangladesh and Sri Lanka underlines the remarkable rise in Tokyo’s strategic interest in the Subcontinent. It also highlights the growing salience of South Asian nations on the international stage. Japan is a late entrant to this game; China has already begun to integrate India’s neighbours into its larger international and regional strategies. The $ 46 billion China-Pakistan economic corridor is only one example. In another, Beijing has given Colombo and Kathmandu the status of a “dialogue partner” in the Shanghai Cooperation Organisation. It was a spectacular show, where a young tribal leader took the pledge to serve over 30 million people of Assam with all his sincerity and commitment. Braving the bright afternoon sunshine of the summer season, over one hundred thousand euphoric well-wishers assembled at the venue to witness the historic moment, as Bharatiya Janata Party (BJP) leader Sarbananda Sonowal was sworn-in as the State chief minister on 24 May 2016. Unlike the previous Congress government at Dispur, the swearing-in ceremony of the BJP led regime was organized at a city college playground, where many high profile dignitaries including Prime Minister Narendra Modi, former deputy PM LK Adwani, BJP president Amit Shah etc were present. Assam Governor PB Acharya administered the oath of office and secrecy to eight more cabinet ministers along with two ministers of State (independent charge) belonged to BJP, Asom Gana Parishad (AGP) and Bodoland People’s Front (BPF). Assam witnessed a similar swearing-in ceremony three decades back in the city’s Nehru stadium, when the PK Mahanta led AGP came to power defeating the Congress for the first time. The AGP leaders, then fresh student activists belonged to All Assam Students’ Union (AASU), in 1985 successfully concluded the historic Assam movement against the unabated Bangladeshi influx to the State. Ali Ehsan Discusses Pakistan's Options on "India going ‘ballistic’?" An article by Muhammad Ali Ehsan in The Express Tribune on May 21, says that considering the no-first use nuclear doctrine that India follows and Pakistan does not, the lack of an anti-ballistic missile technology was a gap in Indian security. But has that gap been filled now by the test-firing of the missile? Asked Ehsan , saying , If not, how long will it take for India to build up an anti-missile defence shield? What are the implications and strategic effects of this renewed Indian interest in the development, induction and expansion of missile systems in its armed forces? And how is Pakistan likely to respond to this Indian development? According to Ali Ehsan in his article in Express Tribune, all indicators suggest that India is in the process of developing a nuclear missile shield. This won’t be a defensive arrangement as the name might suggest but an offensive deployment of radars and ballistic missiles designed and deployed to take down incoming missiles at a far-off distance. Reportedly, India has already placed two long-range missile tracking radars (supplied by Israel) in New Delhi. Ehsan stated in his Article that this is the beginning of an accelerated process that will see India deploying radars and missiles to provide a nuclear missile shield to its major cities and join the list of countries that already have such shields for their cities, including Paris, London, Tel Aviv, Moscow, Beijing and Washington. Building this nuclear missile shield will require the deployment of hundreds of ballistic missiles. For this, India is simultaneously working on both indigenous development as well as imports. The current five-year import figures of heavy weapons by India, according to a report, are 140 per cent higher than the spending in this regard in the previous five years. The Afghan government signed a draft peace agreement with Gulbuddin Hekmatyar’s Hezb-e-Islami on May 18, its first peace agreement with an insurgent group ever since the Afghan Taliban decided to withdraw itself from the Quadrilateral Coordination Group (QCG)-led peace process. The deal, among other things, would see the safe return of Hekmatyar to Kabul after a hiatus of two decades that were ostensibly spent in exile, shunting between Pakistan and north-east Afghanistan. In the midst of deteriorating security situation and failure of the peace talks with the Afghan Taliban, the National Unity Government (NUG) will view the peace deal as a huge success. The recent killing of the Afghan Taliban leader, Mullah Mansour in a drone strike, which was expected to have dealt a major blow to the Taliban leadership, already divided after Mullah Omar’s death, however is yet to be witnessed. Instead, the succession of Mullah Haibatullah Akhundzada as the new leader of this insurgent movement and in a rather noise-less manner has come to indicate that despite the apprehensions, the group is still going strong. The hope was that the Afghan Taliban will abandon its violent actions, and resolve to disarm instead, but the new leader has kept the resolve to not to participate in the QCG-led peace process intact. One of the ironies of being a Pakistani living abroad, especially in the West, is having to pose as Indian. According to Asghar Choudhri, the chairman of Brooklyn’s Pakistani American Merchant Association, a lot of Pakistanis can’t get jobs after 9/11 and after the botched Times Square bombing of 2010, it’s even worse. “They are now pretending they are Indian so they can get a job,” he told a US wire service. From Ramzi Yousef, who bombed the World Trade Center in 1993 (8 years before Bin Laden) and is now serving a 240-year prison sentence to Mir Aimal Kansi, who shot dead CIA agents and was later executed by lethal injection, to Faisal Shahzad, the Times Square “Idiot Bomber”, there is a long line of Pakistanis who have left a trail of terror. The San Bernardino, California, attack of December 2015 by a Pakistani American couple was the most spectacular in recent times. The husband was American-born raised and yet he chose to launch a terror act against the people of the United States. But while Pakistanis wear an Indian mask for Western consumption, back home it’s business as usual. LAST MONTH IN DHAKA, the capital of Bangladesh, six men pounded on the door of Xulhaz Mannan, an employee of the US embassy. When he opened, they hacked him and a friend to death with machetes. A group affiliated with Al Qaeda claimed responsibility, condemning the men for their gay rights activism. 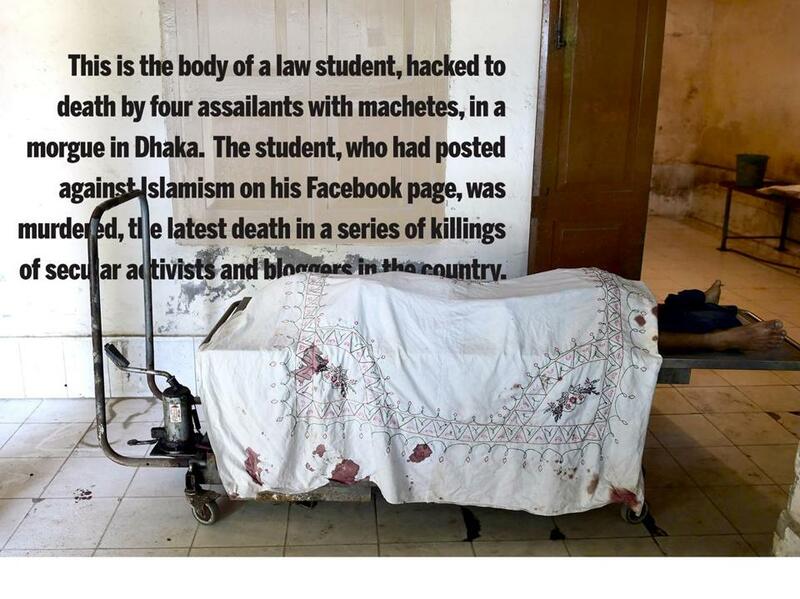 Brutal attacks like this are increasingly common in Bangladesh. According to a recent internal memo from the United Nations Department of Safety and Security, there have been 30 similar extremist attacks since January 2015, resulting in 23 deaths and more than 140 injured. Western governments are increasingly worried, saying the country of 168 million people is starting to come undone. As a state, Bangladesh is not very old. It was born by breaking away from Pakistan in 1971 in a brief and violent civil war. In that conflict, the Pakistani army or its proxy Islamic militia Jamaat-e-Islami killed 300,000 to 500,000 people by independent estimates. After that, Bangladesh largely slipped off the radar screen for most of the Western world. Only the occasional cyclone would grab our brief attention. Yet, as unlucky as the country seemed, the last 40 years have been good to Bangladesh on many fronts. It is not blessed with many natural resources, but it does have people. Their low wages began to attract garment manufacturers who built factories and paid taxes. The GDP per capita tripled. Hospitals were built, and schools improved. Life expectancy increased by a stunning 20 years, and child mortality rates dropped by a factor of four. Beijing has made believers of important audiences, including the scribes who toil away at the Pentagon producing estimates of Chinese martial might. Indeed, the most recent annual report on Chinese military power statesmatter-of-factly that the PLA can now use DF-21Ds to “attack ships, including aircraft carriers,” more than nine hundred statute miles from China’s shorelines. That carrier-killer imagery resonates with Western audiences comes as little surprise. It implies that Chinese rocketeers can send the pride of the U.S. Navy to the bottom from a distance, and sink U.S. efforts to succor Asian allies in the process. Worse, it implies that PLA commanders could pull off such a world-historical feat without deigning to send ships to sea or warplanes into thecentral blue. Close the firing key on the ASBM launcher, and presto!, it happens. Blogmaster. Can somebody put Indian aircraft carrier in place of US and tell us what would be India's response. There is unusual and shocking stridence in China’s very vocal stand, and its timing, demanding adherence to the Non-Proliferation Treaty (NPT) as the criterion for India’s membership of the Nuclear Suppliers Group. Such insistence on being party to NPT as condition is just a foil to China’s opposition to India’s NSG entry. Are the roots of China’s opposition geopolitical? NSG’s objectives in regard to non-proliferation are met by India’s consistent policies and practices conforming to global export control norms, non-proliferation goals and nuclear disarmament. The exemption granted to India by the NSG in 2008 was in recognition of India’s record, commitment and responsible behaviour. Over the past decade or so since that exemption was given, nothing has been done that should give rise to any doubts about India’s commitments and performance as a recipient of nuclear transfers to meet its mounting energy needs. As the US qualified in its ‘food for thought’ paper before the NSG in 2011, adherence to NPT was one of the factors for consideration but not mandatory for entry to NSG which in the US view rested on a combination of several factors. China's Evolving Approach to "Integrated Strategic Deterrence"
How does China see and implement integrated strategic deterrence? How are China's strategic-deterrence concepts evolving in response to external circumstances? What are China's evolving deterrence capabilities? What are the implications of China's growing capabilities in strategic deterrence? Drawing on a wide range of sources, including Chinese-language publications, this report finds that China's strategic-deterrence concepts are evolving in response to a changing assessment of its external security environment and a growing emphasis on protecting its emerging interests in space and cyberspace. At the same time, China is rapidly closing what was once a substantial gap between the People's Liberation Army's strategic weapons capabilities and its strategic-deterrence concepts. Chinese military publications indicate that China has a broad concept of strategic deterrence, one in which a multidimensional set of military and nonmilitary capabilities combine to constitute the "integrated strategic deterrence" posture required to protect Chinese interests. For China, powerful military capabilities of several types — including nuclear capabilities, conventional capabilities, space capabilities, and cyberwarfare forces — are all essential components of a credible strategic deterrent. Chinese military publications indicate that nonmilitary aspects of national power — most notably diplomatic, economic, and scientific and technological strength — also contribute to strategic deterrence alongside military capabilities. Its threat to attack the West during Ramadan, which begins next month, comes as the group is losing a key recruiting tool: the ability to capture and hold territory. AMMAN, JORDAN — With the territory of the Islamic State cut by a third and Kurdish militias launching an offensive into its proclaimed capital of Raqqa, the group appears to be preparing its followers for a new, drawn-out phase of warfare. He called on IS supporters across the world to carry out attacks during the month of Ramadan, which starts in early June. The announcement signals a shift away from the traditional military campaign that enabled IS to rapidly capture large swaths of territory across Syria and Iraq and establish the so-called “Islamic Caliphate,” a jihadist’s utopia where its ultra-extremist interpretation of Islam is enforced in all aspects of life. What are the results of the U.S. strategy against ISIL in its first 18 months of implementation? How capable are the military forces countering ISIL? What are the principal gaps in capability that the United States or other partners would need to fill in order to achieve a successful counteroffensive? What are the political intentions and conflicting interests that impede a successful counteroffensive? What shortcomings exist in the overall conception or implementation of the current strategy? Are other approaches more likely to succeed at lower cost and/or lower risk? What measures might produce greater results in the near term? This report assesses the campaign against the Islamic State (ISIL), focusing on the military and political lines of effort. The capabilities and motivations of the various counter-ISIL forces on the battlefield are assessed, as well as the U.S.-led efforts to provide training, equipment, advice, and assistance, including air support. While the campaign has degraded ISIL by targeting leadership and retaking a portion of territory, achieving lasting defeat of ISIL will be elusive without local forces capable of holding territory. Successful conclusion of the campaign will require significantly increased effort on two fronts. First, more-comprehensive training, advising, and assisting will be required to create more-capable, coordinated indigenous forces of appropriate composition and enable them to regain and hold territory. Second, political agreements must be forged to resolve key drivers of conflict among Iraqis and Syrians. Without these elements, resurgent extremist violence is likely. Many factors complicate the prospects for success, including sectarian divisions in Iraq, Iranian support for Shia militias in Iraq and Syria, the Syrian civil war, and Russian intervention to support the besieged regime of Syrian President Bashar al-Assad. However, the Syrian regime also lacks sufficient competent local forces and is heavily reliant on external militia support. The government in Iraq, led by Prime Minister Haider al-Abadi, has pledged decentralization efforts to address Sunni concerns, but lacks sufficient Shia support to enact them. This report offers recommendations for a more comprehensive advisory approach, emphasizing the political line of effort, and achieving synergy between the military and political efforts. HELSINKI, Finland — Seeking to shine some light into the dark world of Internet trolls, a journalist with Finland’s national broadcaster asked members of her audience to share their experience of encounters with Russia’s “troll army,” a raucous and often venomous force of online agitators. The response was overwhelming, though not in the direction that the journalist, Jessikka Aro, had hoped. As she expected, she received some feedback from people who had clashed with aggressively pro-Russian voices online. But she was taken aback, and shaken, by a vicious retaliatory campaign of harassment and insults against her and her work by those same pro-Russian voices. “Everything in my life went to hell thanks to the trolls,” said Ms. Aro, a 35-year-old investigative reporter with the social media division of Finland’s state broadcaster, Yle Kioski. Abusive online harassment is hardly limited to pro-Russian Internet trolls. Ukraine and other countries at odds with the Kremlin also have legions of aggressive avengers on social media. How big a deal is Microsoft and Facebook's underwater Internet cable? By creating the first underwater cable to connect the United States with southern Europe, the tech giants are joining Google in developing networks to better move massive amounts of data around the globe. Microsoft and Facebook are joining together to build an underwater Internet cable across the Atlantic Ocean. The cable, known as MAREA, or "tide" in Spanish, will connect hubs in northern Virginia and Bilbao, Spain, helping the tech giants increase their capacity to carry data for a growing number of online customers and businesses that use their services. By designing and creating their own private networks to move massive amounts of data necessary to run popular services such as Facebook Messenger, WhatsApp, Microsoft's Bing, and Office 365, the tech companies are increasingly expanding into an area traditionally dominated by telecom companies. The project, which comes in the wake of a similar effort by Google in the Pacific, is particularly intended to reduce latency, or the time it takes information to get from data centers to its destination. The convergence of dramatic improvements in the fields of robotics, artificial intelligence, materials, additive manufacturing, and nanoenergetics is dramatically changing the character of conflict in all domains. This convergence is creating a massive increase in capabilities available to increasingly smaller political entities—extending even to the individual. This new diffusion of power has major implications for the conduct of warfare, not the least of which are the major hazards or opportunities that it presents to medium and even small powers. The outcome will depend on the paths they choose. Fortunately, this level of technological change and convergence is not unprecedented. From 1914 to 1939, there were technological breakthroughs in metallurgy, explosives, steam turbines, internal combustion engines, radio, radar, and weapons. In 1914, at the beginning of World War I, battleships were considered the decisive weapon for fleet engagements, and the size of the battleship fleet was seen as a reasonable proxy for a navy’s strength. The war’s single major fleet action, the Battle of Jutland, seemed to prove these ideas correct. Accordingly, during the interwar period, battleships received the lion’s share of naval investments. Navies took advantage of rapid technological gains to dramatically improve the capabilities of the battleship. Displacement almost tripled, from the 27,000 tons of the pre–World War I U.S. New York-class to the 71,660 tons of Japan’s Yamato-class. The largest main batteries grew from 14-inch to 18-inch guns with double the range. Secondary batteries were improved, radar was installed, speed increased from 21 to 33 knots for U.S. fast battleships, cruising range more than doubled, and armor improved. Yet none of these advances changed the fundamental capabilities of the battleship; they simply provided incremental improvement on existing strengths. This is typical of mature technology—even massive investment leads to only incremental improvement. FORT BLISS, Texas and WASHINGTON — The Army was preparing to ship out after helping Gorgas defend itself from the belligerent state of Donovia. Gorgas and Donovia are in peace talks — or so the Army thought. Donovia is again up to no good along the border. Gorgas fears it is using separatist regions, which claim Donovian descent and wish to align with the country, to try to seize terrain and resources in Gorgas. Sound familiar? That’s because the scenario mimics the ongoing Ukrainian-Russian conflict. But the Army isn’t in Russia, it’s in the expansive, desolate desert of Texas along the US-Mexico border for Network Integration Evaluation 16.2. The Army is using a scenario similar to what it might encounter in a conflict with Russia, which involves full-spectrum operations to prove out and refine emerging aspects of its tactical network. When the executive’s office phone rang, he reluctantly set aside his work and answered. Mr. Simms was busy, but he knew IT security was a concern. For the next few minutes, he answered questions. Then “George” asked him to log off, and together, they went through the login procedures again, with Mr. Simms answering still more questions as they went. In the course of just a few minutes, Mr. Simms had given up his date of birth, mother’s maiden name and password. “George” had scored a coup. Government and corporate employees are routinely targeted by attackers seeking access to personal information, financial accounts, sensitive records and protected intellectual property. It costs almost nothing to mount an attack, and no organization or individual is immune, says James White, chief information security officer at General Dynamics Commercial Cyber Services. “It’s not a matter of if, but when,” he says. The key is being prepared. What’s the Best Way to Wargame Cyberwarfare? Faced with a variety of new threats, from hypersonic ship-killing missiles to anti-satellite weapons and terrorist attacks, top Pentagon leaders are pushing for more analytical wargaming to devise strategies to counter such threats. But in an era where information can be an instrument of war, the question of how to effectively wargame cyber attacks is a critical issue for military planners. Modeling cyberwarfare resembles the philosophical question of whether a tree actually fell in a forest if no one heard it fall. How does a wargame designer realistically depict a stealth weapon like a computer virus, whose very effectiveness depends on the victim not knowing that the virus exists or how it works? “We have been trying to integrate stuff like that [cyberwarfare] into operational games, but the weapons themselves are so highly classified and tightly held that we don’t really know what capabilities exist,” says Peter Perla, a defense wargaming expert and senior research scientist with the Center for Naval Analyses. Clinton Romesha is a former Army staff sergeant and author of “Red Platoon: A True Story of American Valor.” He was awarded the Medal of Honor for his actions during the defense of Combat Outpost Keating. In October 2009, my cavalry troop was preparing to shut down a remote outpost in Afghanistan when we were assaulted by more than 300 Taliban-led insurgents. In violation of the most basic principles of warfare, our base, Combat Outpost Keating, had been built in a valley surrounded by three mountains. It is almost impossible to hold and defend your ground when the enemy is free to shoot from above while observing every move you make. Within the first hour of the attack, the insurgents had breached our wire, driving most of Keating’s 50 U.S. guardians into our final defensive formation inside a cluster of three hard-shelled buildings, known as the Alamo position. Ms. Broadwell was here in April for a 40th anniversary celebration for the academy’s first class of women, who enrolled two decades before she would graduate at the top of her class, with multiple varsity letters. It was also the first time she had been back to campus since 2012, when she achieved her own kind of unwanted fame. Yes, this is that Paula Broadwell, the mentee-turned-biographer of David H. Petraeus; the West Point graduate and military intelligence officer who was revealed, through a high-profile F.B.I. investigation, to have had a romantic relationship with Mr. Petraeus, a former C.I.A. director and the highest-profile general from the wars in Iraq and Afghanistan. This is also the Paula Broadwell who would be publicly portrayed as a “homewrecker,” a “stalker,” a “temptress,” the woman who “brought down the director of the C.I.A.” And, perhaps with the most frequency, as the “mistress,” a word for which there is no male equivalent. Since the beginning of the Great Recession in 2007, the history major has lost significant market share in academia, declining from 2.2% of all undergraduate degrees to 1.7%. The graduating class of 2014, the most recent for which there are national data, included 9% fewer history majors than the previous year’s cohort, compounding a 2.8% decrease the year before that. The drop is most pronounced at large research universities and prestigious liberal arts colleges. This is unfortunate — not just for those colleges, but for our economy and polity. Bombing Hiroshima changed the world, but it didn't end WWII Of course it’s not just history. Students also are slighting other humanities disciplines including philosophy, literature, linguistics and languages. Overall, the core humanities disciplines constituted only 6.1% of all bachelor’s degrees awarded in 2014, the lowest proportion since systematic data collection on college majors began in 1948. Conventional wisdom offers its usual facile answers for these trends: Students (sometimes pressured by parents paying the tuition) choose fields more likely to yield high-paying employment right after graduation — something “useful,” like business (19% of diplomas), or technology-oriented. History looks like a bad bet.